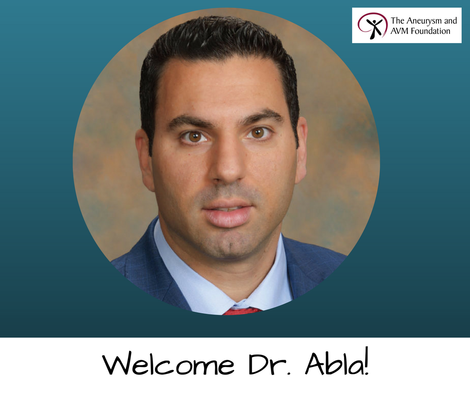 Can't wait to meet TAAF board member, Dr. Adib Abla? Come hear him talk Thurs, 1/4/18 at The San Francisco Bay Area Aneurysm and Vascular Malformation Support Group from 6-8 PM at the UCSF Medical Center Campus, 513 Parnassus Ave., RM S-163. As the Chief of Vascular Neurosurgery, Dr. Adib Abla will address how surgeons choose clipping or coiling in aneurysm treatment. He will be open to questions about AVMs as well. Don't miss the chance to meet Dr. Lawton's hand-picked successor!